close open apps : you can can close multiple apps at once by double clicking the home button to reveal open webpages and platforms, then swipe up to three apps at the same time by using three fingers and dragging them upwards. The Whois Lookup shows that these IP addresses belong to Internet Service Providers (ISP). The individual users are anonymous. Nevertheless I will update regularly this Hall of Shame list to track all abuse trials. CIRCL (Computer Incident Response Center Luxembourg) is the national Computer Security Incident Response Team (CSIRT – CERT) coordination center for the Grand-Duchy of Luxembourg. CIRCL is operated by SMILE (Security Made in Lëtzebuerg), a State funded groupement d’intérêt économique (GIE), designed to improve information security and create new opportunities for Luxembourg. 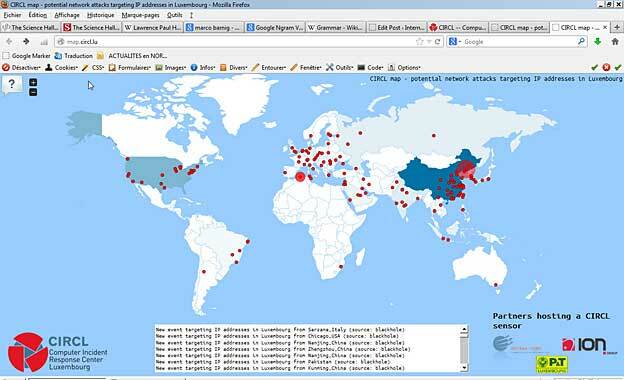 On April 23, 2013, CIRCL published a real-time map of the attacks targeting IP addresses located in Luxembourg. CIRCL sensors to provide the data for this map are installed in the networks of P&T Luxembourg, RESTENA and ION group. 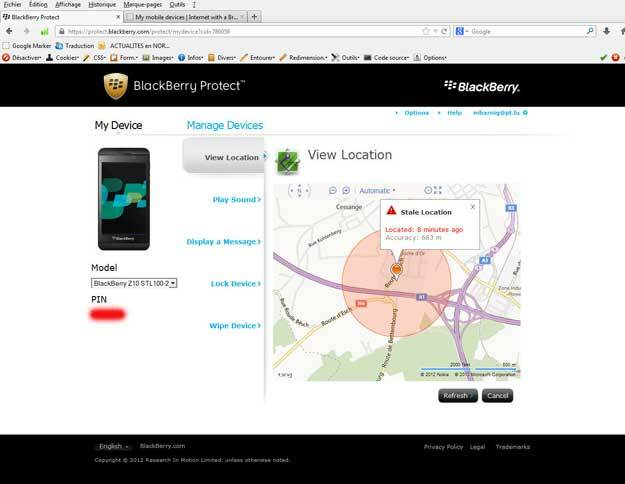 BlackBerry Protect is designed to help find your lost BlackBerry smartphone and keep the information on it secure. In BlackBerry 10, BlackBerry Protect is a feature built into the OS. For smartphones running on BlackBerry 7 OS and earlier versions of BlackBerry Device Software, BlackBerry Protect is a free application you can download on your smartphone. The current location of your device can be mapped, you can make it ring loudly to help you find it even if sound is currently turned off, a customized message can be sent to your home screen even if the device is locked, it can be locked and optionally a new password can be set and you can permanently delete all data from the device. All these actions are done remotely from the Blackberry Protect Website. My Blackberry Z10 was located correctly in Cloche d’Or, Luxembourg. Building web applications is hard work and most people remain unaware of how their web application is interacting with the web browsers that their clients have installed. Fiddler, a free web debugging proxy created by Eric Lawrence, helps to simplify the analysis process substantially by logging all HTTP(S) traffic between your computer and the Internet. Fiddler is a transparent proxy that automatically adds itself to the WININET chain so that it can see every request being made. It logs those requests and the responses to allow you to see what is working and what isn’t working. Fiddler allows you to inspect all HTTP(S) traffic, set breakpoints, and “fiddle” with incoming or outgoing data. Fiddler includes a powerful event-based scripting subsystem, and can be extended using any .NET language. Fiddler is freeware and can debug traffic from virtually any application, including Internet Explorer, Mozilla Firefox, Opera, and thousands more. The developper, Eric Lawrence, was Security Program Manager at Microsoft for Internet Explorer. After over a decade of working on the web for Microsoft, Eric joined Telerik in October 2012 to enhance the Fiddler Web Debugger on a full-time basis. Telerik is devoted to making software development easier and more fun and has committed to keeping Fiddler free and expanding its value by further investing into the tool. A quick summary of getting started with Fiddler has been published at Developer.com. A detailed documentation is available at the Fiddler website. A discussion forum and a developer section are available at the same site. Various addons and third-party extensions have been developped. Fiddler can be configured to analyse the http traffic of iPad’s, iPhone’s and other web devices. A simular tool called Charles is available for Mac Computers. CAPTCHA is standing for “Completely Automated Public Turing test to tell Computers and Humans Apart”. It is a type of challenge-response test used in computing as an attempt to ensure that the response is generated by a person. 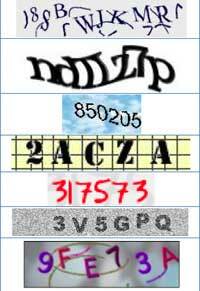 Because other computers are supposedly unable to solve the CAPTCHA, it is sometimes described as a reverse Turing test, because it is administered by a machine and targeted to a human. A common type of CAPTCHA requires the user to type letters or digits from a distorted image that appears on the screen. The term “CAPTCHA” was launched in 2000 by Luis von Ahn, Manuel Blum, Nicholas J. Hopper, and John Langford (all of Carnegie Mellon University). A very interesting contribution about CAPTCHA (in french) has been published by Nicolas Kerschenbaum, a security consultant of the french company Xmco Partners.